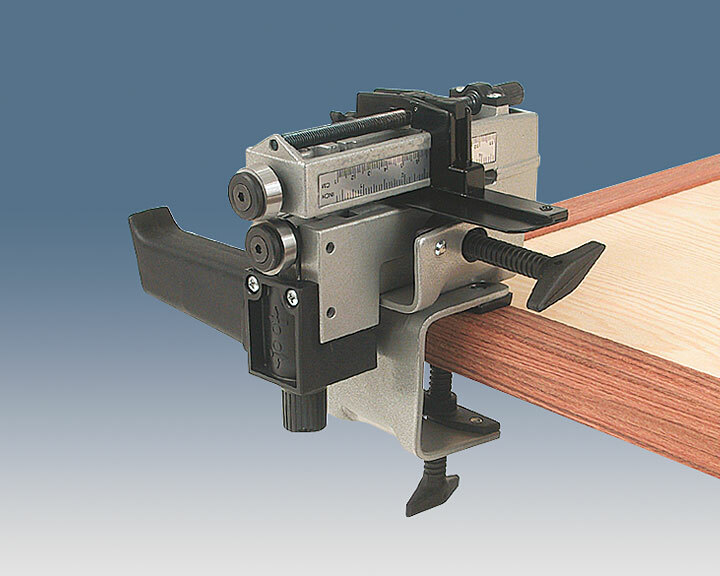 Strip cutter for laminates, quick and easy to use. 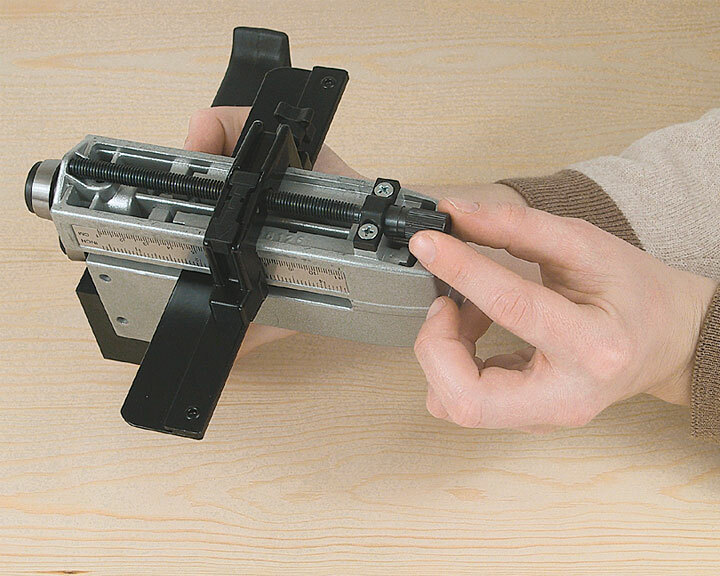 With it you obtain a clean splinterfree cut with no waste. Cuts plastics, laminates and veneer. 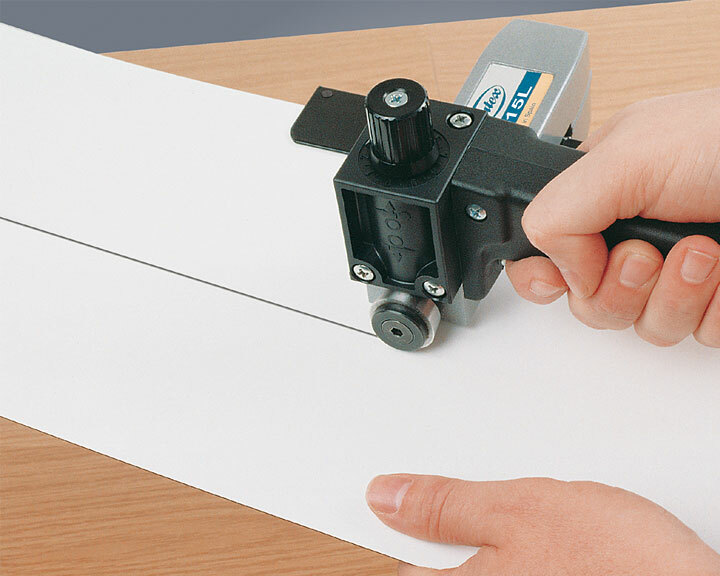 Cutting depth can be adjusted with micrometric measure and it has a guide on a millimeter scale with micrometric measure for easy adjustment of strip width.